No weight gain this week, woohoo! I’ve been so tired recently, even at work I feel like I am nodding off at my desk! I’ve tried going to bed earlier but it makes no difference. I think baby J is needing a lot more energy! Mother’s Day was by far my best moment. It was my first officially as Maya’s step mum, and I got the most gorgeous bunch of flowers and a card. Tom, mum, dad and I went out for dinner on the night - it was dad’s birthday too so we had a double celebration. I also had a midwife appointment this week and went to my first antenatal class, which both went really well! I will be doing a blog post on each class. I posted the first last night, which you can read here. I’ve been quite stressed at work this week, which hasn’t been fun at all. I also found out at my midwife appointment that baby J has turned again so is now back to being feet down! Little monkey, I’ll be doing some yoga exercises to help move him/her back round again. Having enough sleep! I am pretty sick of feeling so exhausted. 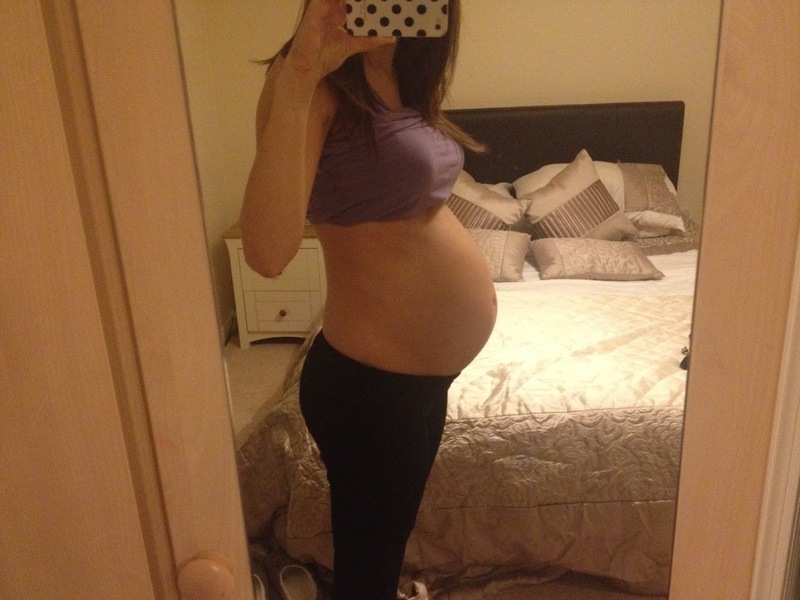 Tiredness, bit of morning sickness (mostly just feeling sick), sore ribs, backache…. feels like a long list this week! And here is the bump for 28 weeks!